These amazing creatures enter the nearby breeding lagoons on the pacific side of Baja between January and March. We run daytrips and overnighters with comfortable accommodations to see the adult Grey Whales and their newborn calves. We venture out in Pangas to observe their behavior of breeching, spyhopping and mating and get you some amazing photo opportunities. Friendly whales can even approach the pangas and allow you to touch and kiss them and their babies. Paddle out on an SUP board to tour the mangroves and watch amazing seabirds and whales!! Includes: breakfast, lunch (all you can eat scallop feast), transportation and wetsuit rentals. Depart 5:30AM, return approx. 5:30PM. + SUP mangrove tour, bird watching. Bring a rain jacket and a warm hat. Are you ready to snorkel with the worlds largest fish?? Come and join Palapas Ventana as we team up with the researchers at WhaleShark Mexico to measure, identify, study behavior, track, and enjoy swimming with these gentle giants. The Whale Sharks visit our area between October and April and provide consistent opportunities to get up close and personal with these harmless filter feeders. We also often see dolphins, Humpback whales, and Mobula rays along the way. 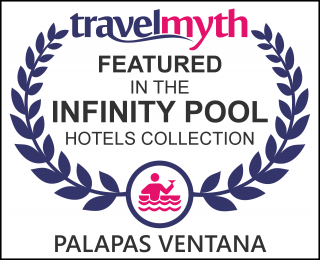 This experience is a daytrip and you will be back at Palapas Ventana by 1:30 pm. It is fun for everyone whether you stay on the boat, snorkel close to them, or venture out silently on an SUP board.